Although I am originally from a small town Southwest of Dodge City, Kansas, I have lived in Tallahassee since 1979. Upon moving here I was moved by the gently rolling hills, beautiful canopied roads and mild seasonal changes in climate. It was here that I was given the most precious gifts of my life, my three daughters. My Bachelor and Masters degrees were both in music, specifically piano. After years of teaching, performing and practicing, I made a career change and got my real estate license in 1980. And after being “rookie” of the year my first year in the business, I have continued at a top producer’s pace. In a sense I am still in a performing/teaching profession. Every client to me is a STAR pupil and my wish and commitment is to provide STAR treatment with honestly and quality, to provide personal service even beyond the closing and go to the nth degree in getting all the questions answered and problems solved. Those who know me, know that I am a compassionate individual, that I do not give up and I go the extra step. It all goes back to my Kansas roots. As a performer at a young age I always pursued stardom. I wanted to be the best and those desires are still with me in this profession. And, with that goal, I carry my clients with me. I invite you to become one of my STAR clients and experience some STAR-studded results! My motto is: SOLD….music to your ears. And the highest compliment I can receive is a referral from YOU! 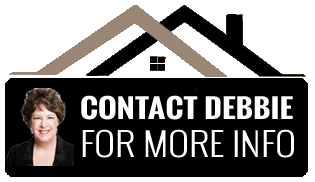 It is my mission to consistently provide the highest quality, most innovative and exceptional real estate service available anywhere in Leon County and surrounding areas. My client’s needs always come first. I will strive to always provide value far in excess of my client’s expectations. My constant goal is mutual respect, and long term relationships that are beneficial to all parties. •	Honesty and integrity at all times and in all situations. •	Continually improve my services to exceed my client’s expectations. •	Tirelessly pursue personal growth while reaching well-formulated goals. •	Work with only the most enjoyable and motivated clients and co-workers.